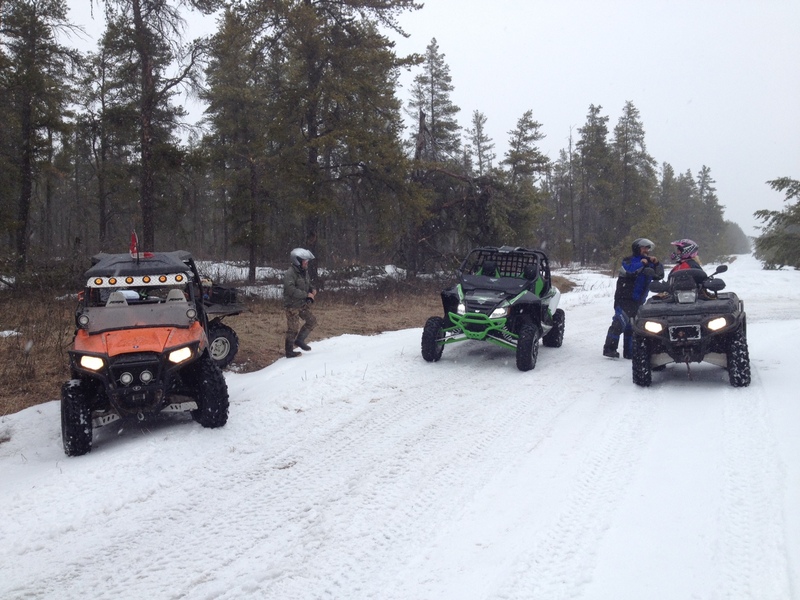 We still have lots of snow in Manitoba, so only a few trails able to ride!!! Top speed 82 mph on gps in 4 wheel drive soft wet gravel road!!! Was very impressed compared to my 2012!!! Heres what I did with mine last Saturday. WildOffroad, kgray670 and trappshack like this. Nice video. Too bad about the flat, as it looks like you had it going on before that! That looks like a sweet race. I put 15 miles on my X and i drove the hell out of it. Its just above freezing here, and we still have a pile of snow, and a pile of water in the fields! Found out how much water at 60mph through a low spot. I am still shivering after a hot shower.... was a very cold ride home. Took my '12 out that is all stock(wires unit) an it blows the doors off the '12. I think my RZR & Can Am buddies are in for a surprise! So would you recommend those tires? awesome course. Looks like D&P rules the racing cage market on the wildcats. on the bold - I love seeing this, American parts for an american machine - stuff thats actually made with pride and from what I have seen of utv inc's products they're top notch.